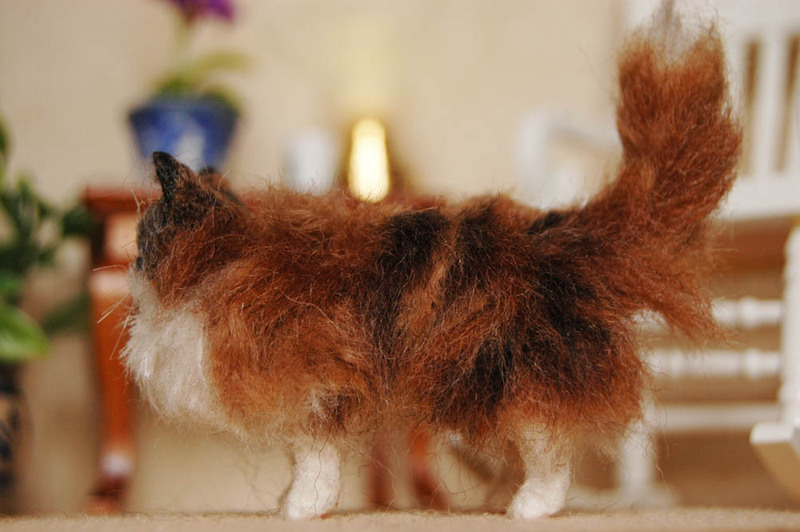 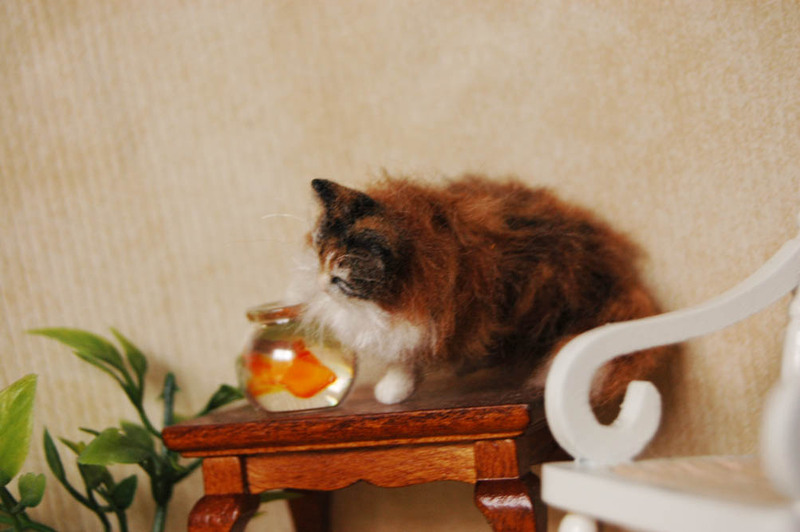 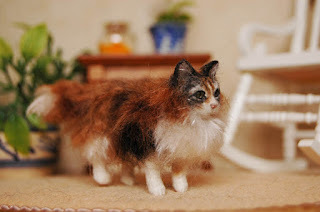 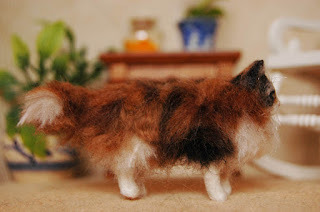 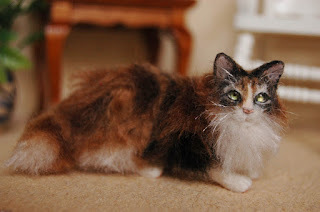 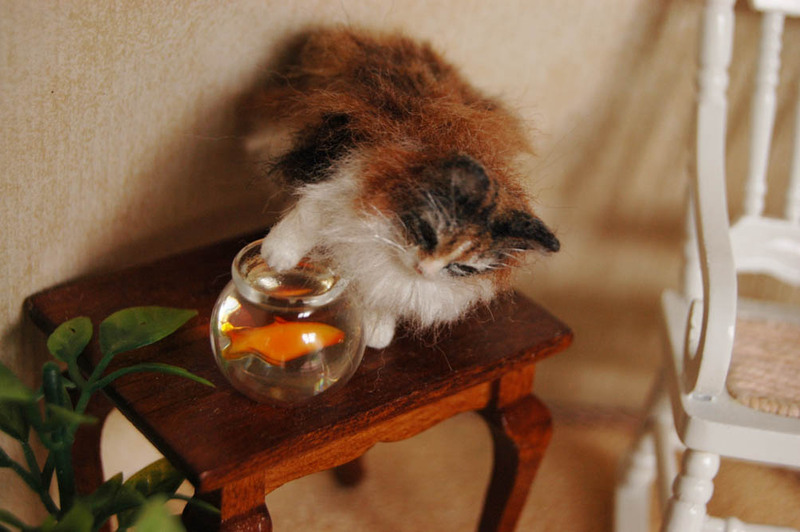 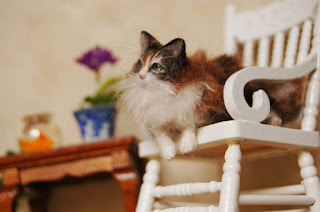 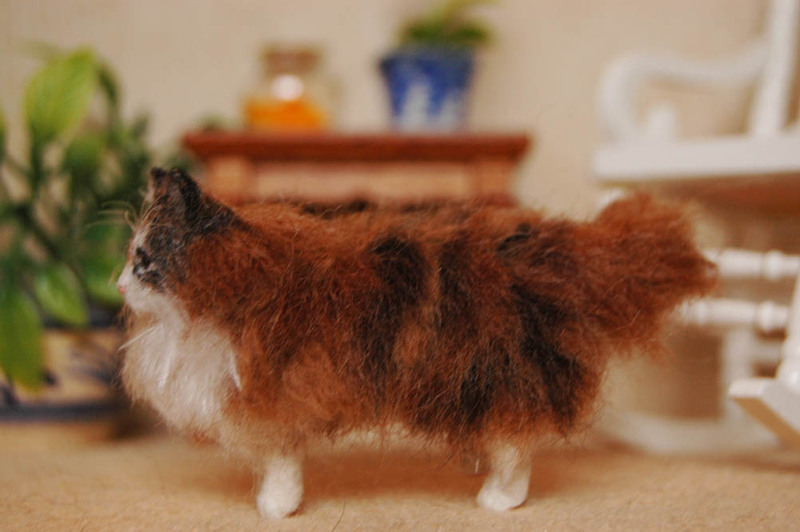 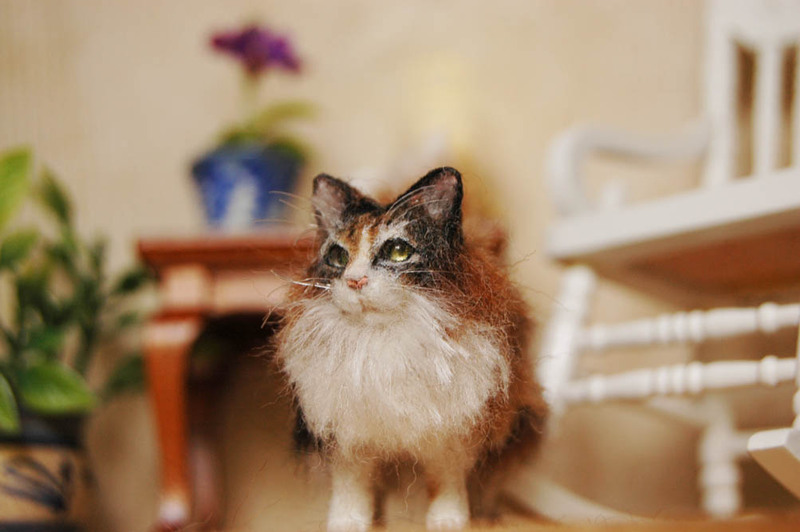 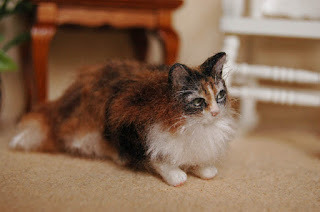 Here is my latest felted creation, a beautifull ginger calico cat portrait of Bella in 1/12 scale. 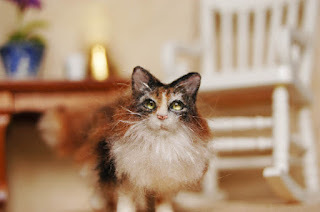 Her eyes are so bright, they reflect light very nicely. I made them using very small cabochons after removing the foil backing and painted the details with iridescent pigments and ink. 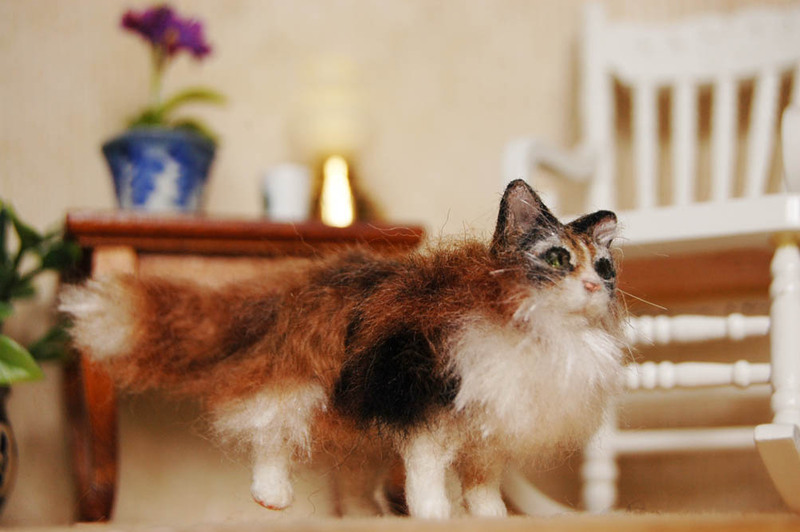 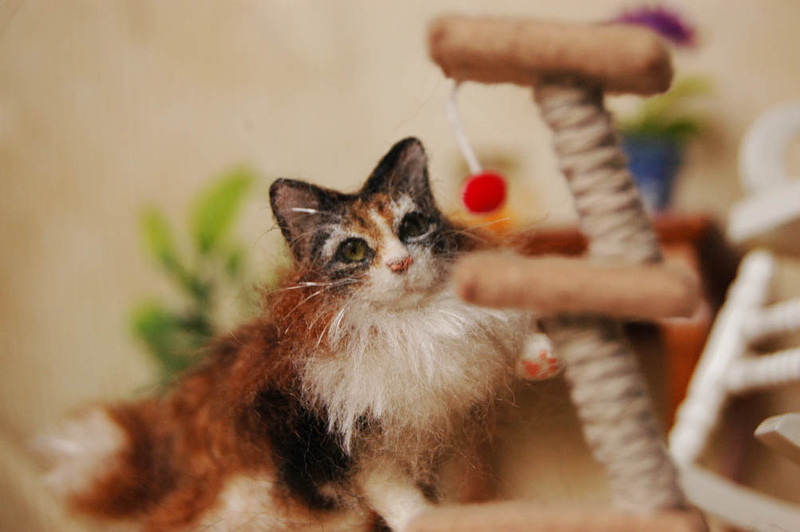 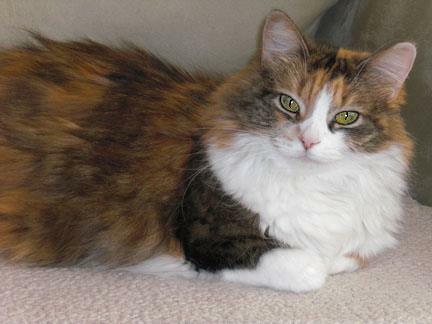 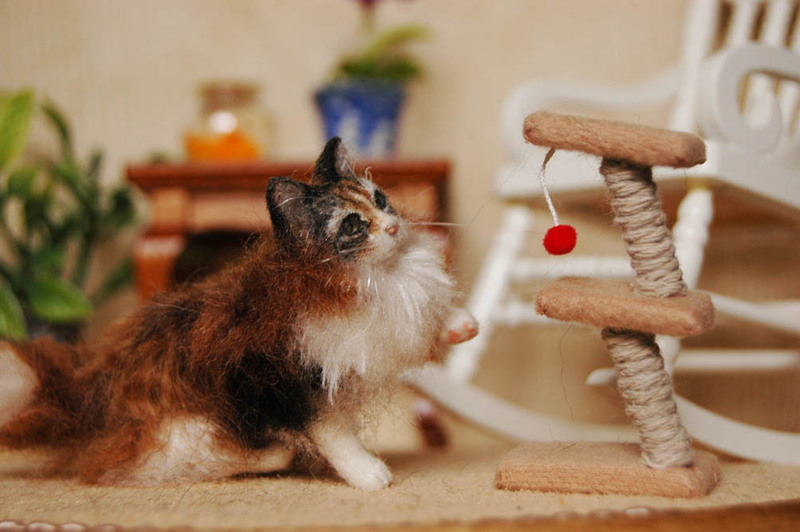 Her silky fur is made with silk, wool and natural alpaca fibers. This is the first time I use Alpaca in my sculptures and I had a lot of fun using it! 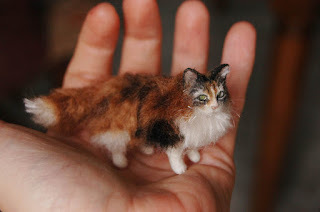 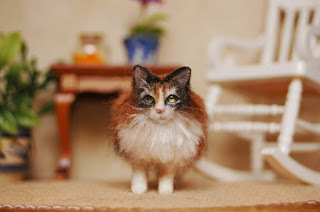 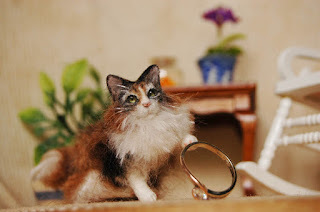 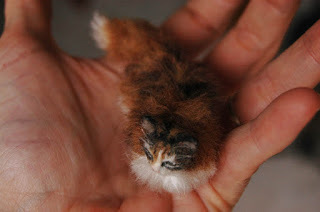 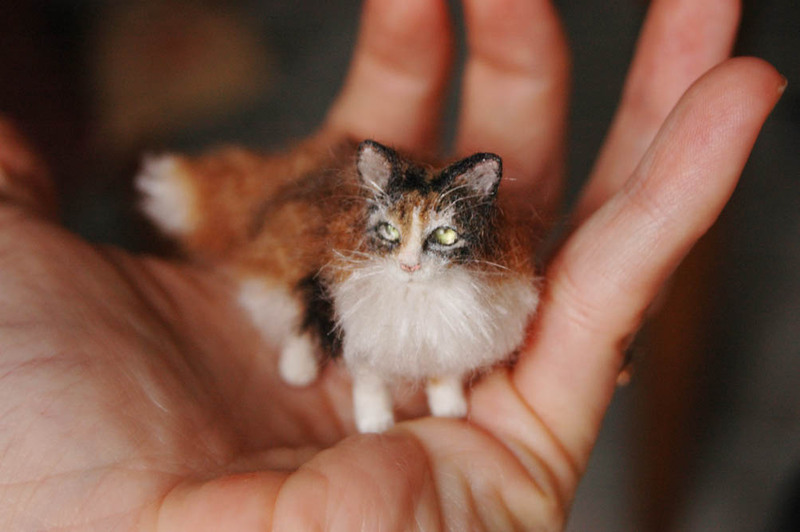 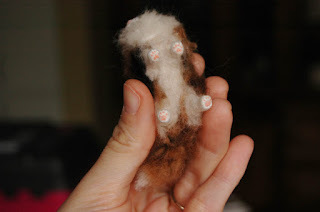 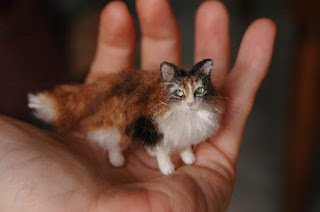 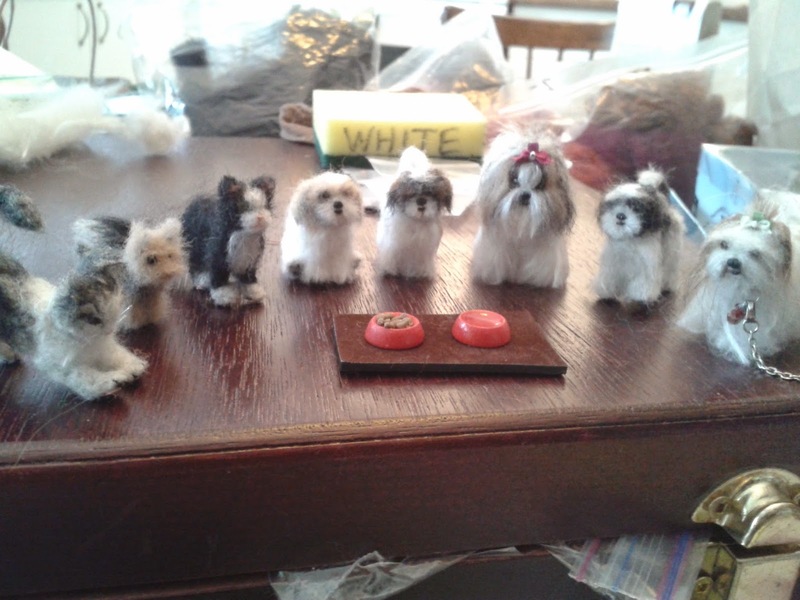 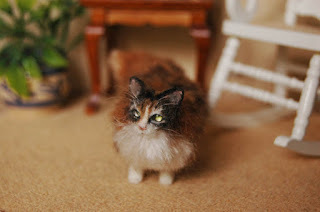 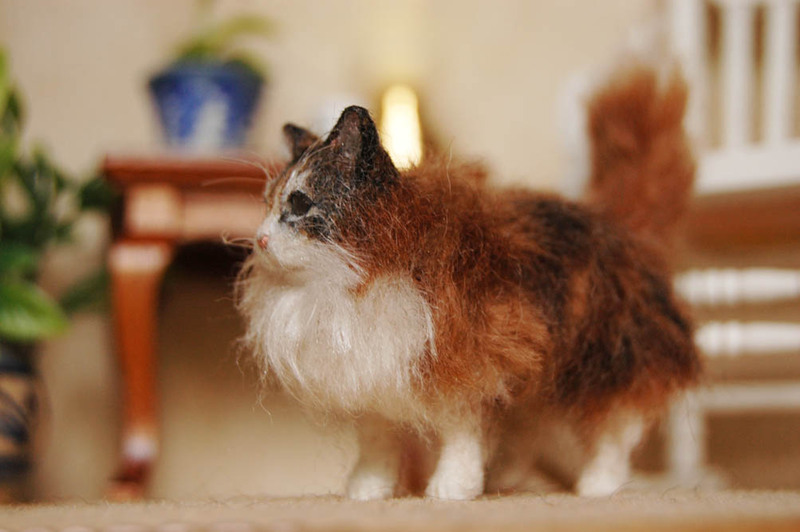 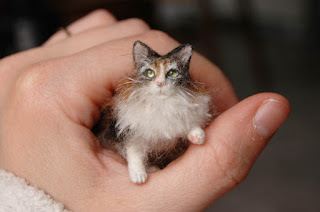 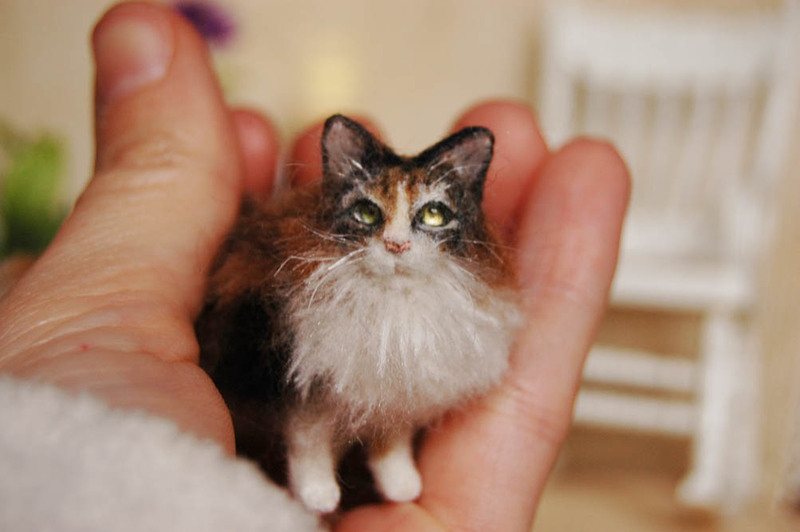 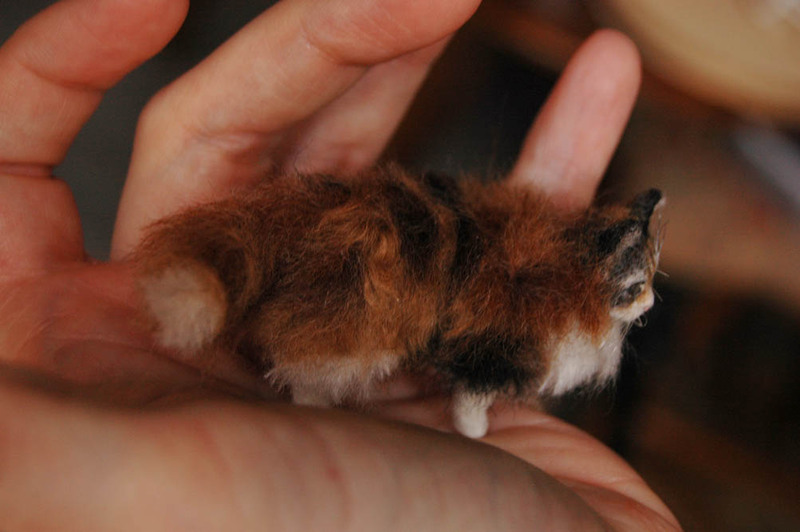 I asked Carine to make me a miniature replica of Bella my cat who passed away last year. 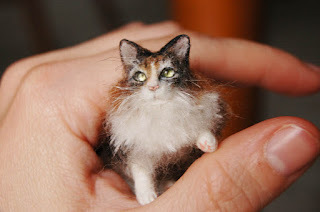 She made Bella so realistic that her image brought tears to my eyes. She has captured her look perfectly and even her gentle personality shines through.